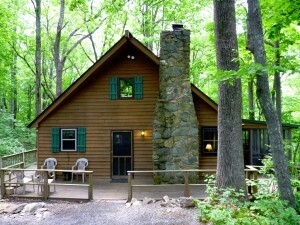 June Cabins in Virginia Dates Open - BOOK NOW! Dates Left Open in June – Book Now While They Last! Our cabins are booking fast for the summer at Cabin Creekwood, cabins in Virginia near Sherando Lake. We have a few dates left open in June if you wish to escape for a family getaway this summer. Jump right in and view our great deals and packages. Our cabins in Virginia, many of which are pet friendly, offer a beautiful resort type atmosphere complete with an in-ground pool, fire ring, and perfect location right along a gentle stream. Turn off your cell and unwind. Nearby activities such as swimming, fishing and canoeing or kayaking on Lake Monocan, hiking the Appalachian Trail, or mountain biking on one of the many well rated trails in the Shenandoah Valley will keep you and your loved ones occupied for days. We welcome ALL! Even groups such as family reunions, church groups, corporate retreats and other outings for groups. Our location provides an excellent backdrop for getting away, team building, and learning more with your group. There are some overlaps in these dates below – at the current time of this posting – so you could potentially book several cabins for members of your team. Other cabins will sleep from 4, 6, to 8 (Foxwood Cabin & Oakwood Cabin). These available dates will change – they are based on the time of this posting 5/25/16. See each cabin link for actual availability and BOOK NOW – These dates will fill very fast! Logwood Cabin, a 1 bedroom, 1 bath rustic, Pre- Civil War era cabin has limited openings from May 30-June 1, June 9, June 13, and June 20. Right now Barnwood Cabin, a great 1 bedroom, 1 bath with patio, is open May 31-June 2, June 6 – June 10, June 15-16, June 21-22, and June 30-July 1. Creekwood Cabin is available from May 30-June 2, June 9, June 13-14, and from June 20-June 28. It sleeps 6 and features 2 bedrooms and 1 bath. Rockwood Cabin is available from June 1-2, June 10-June 16, June 21-June 23, and June 27-June 30. It sleeps 6 and features 2 bedrooms and 1 bath. It is the MOST popular cabin for families with teens! It has a deck on the front and back and the back deck overlooks the swimming pool at our resort. Mountainwood Cabin has a welcoming, open feel and tons of space. It’s within walking distance to our pool! It sleeps 6 and features 2 bedrooms and 1 bath. It’s available June 1-June 9, June 13-June 16, June 20-21, and June 27-June 30. Looking for the ulimate 2 bedroom vacation home near Sherando Lake? Look no further than the Edgewood Cabin. It’s available several dates in June right now. June 1-June 10, and June 16-June 30. The end of May is open as well. Foxwood Cabin is located right at the entrance of Cabin Creekwood and sleeps up to 8. It’s a wonderful 3 bedroom, 1 bathroom cabin. Open dates are limited but right now June 1-June 3, June 7-8, June 13-June 15, June 20, and June 27-June 30. Book Oakwood Cabin, a 3 bedroom, 2 bath cabin that features a nice kitchen, deck overlooking the creek, and sun-room the dates of May 31-June 9, June 13-June 16, and June 20-June 23.